Bolton Lads & Girls Club are on the lookout for brave soles to take part in an amazing fundraising feet! At Bolton Lads and Girls Club there isn’t anything they wouldn’t do for the benefit of their young people, from scaling a mountain (or two!) to walking over burning coals barefoot. As such, in a fundraising first for the Club, they are to host a fire walk on Monday 17th September to raise £5,000 for our Junior Club pick-up service. Their twice weekly pick-up service ensures that youngsters aged eight to 12 from Farnworth are brought to and from Junior Club safely so that they can enjoy the Club and its facilities without having to make the journey on their own – a journey that can often see them walk for miles. Each step you take across the burning coals will enable at least 60 young people to benefit from a safe and comfortable journey to and from the Club. A non-refundable registration fee of £50 will secure your place on the coals and each participant will be required to raise a minimum of £100 in sponsorship. Check out the promotional video made by Blaze Firewalking, the company behind our Firewalk, by clicking here, or to find out more about Firewalking log on to Blaze's website here. 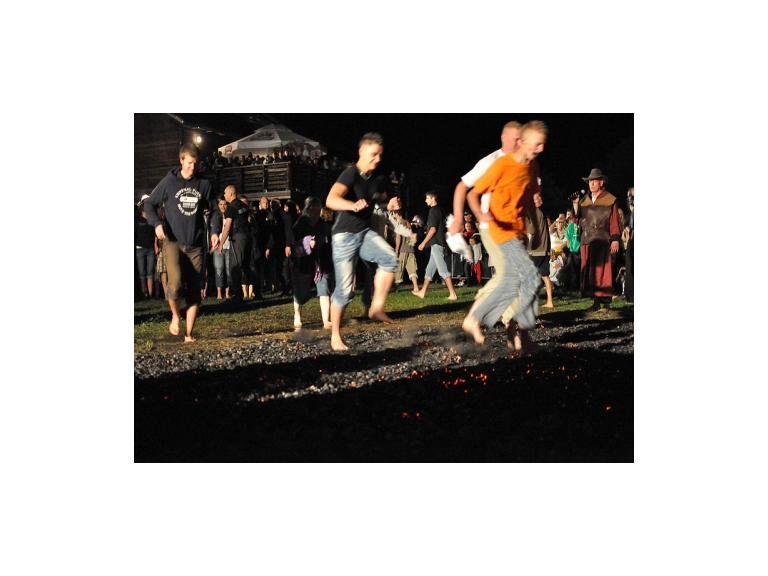 Please note: It is essential that all firewalkers attend the 'Learn or Burn' seminar prior to the walk. All participants must be over the age of 18.